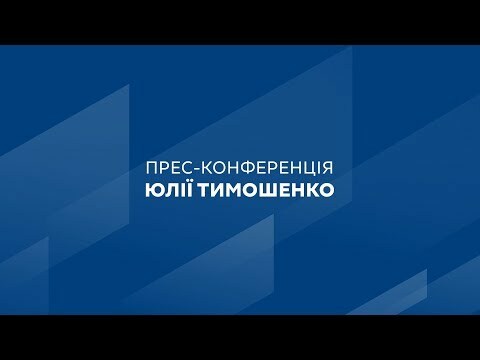 Batkivshchyna Party leader Yulia Tymoshenko proposes giving citizens of Ukraine the right of legislative initiative and empowering them with an effective instrument of direct democracy – referendum by popular initiative. “I propose that the new social contract give citizens of Ukraine the right of legislative initiative,” Yulia Tymoshenko said during the All-Ukrainian Forum “A New Course for Ukraine” that was held in Kyiv on her initiative. According to the parliamentarian, the trend in today’s global realities is towards forms of direct democracy. “Closing the path of legislative initiative for a citizen in the 21st century, when the communication system is limitless and can unite the intellectual synergy of hundreds of millions of people, would be wrong,” she said. According to the politician, a transparent mechanism of legislative initiative should be written into the new Constitution. “For example, this could be a petition sent to the Verkhovna Rada. If it gets, for example, about one thousand votes, then it should be included in the comparative table for a draft law before the second reading, which is prepared by the appropriate parliamentary committee,” Yulia Tymoshenko said. “This means that no thought will be lost. For example, the White House studies and analyzes every public petition. We can’t be on the sidelines – we should also do this,” the Head of the Batkivshchyna Party added. Yulia Tymoshenko also noted the importance of referendums by popular initiative in direct democracy. “The new social contract should include an instrument or mechanism that gives the people of Ukraine the right to hold a referendum by popular initiative on early parliamentary elections,” she said. The parliamentarian explained that the current Constitution of Ukraine does not give the real right to a referendum by popular initiative because the Central Election Commission (CEC) can unilaterally block a national or local referendum. “Therefore, the new social contract should give people the right to hold a real referendum by popular initiative – both national and local,” the politician said. Yulia Tymoshenko explained that the procedure for holding a referendum should be clearly outlined in the Constitution. We need to create a referendum organizing committee that will hold a national viche with special quotas for the whole country, that will have the right to appoint the CEC, and will include representatives of state authorities,” she said. “And then we should create a special referendum fund that people will contribute to and will not require expenditures from the budget. The next step is to have observers from the authorities in all stages of the process,” the politician added.